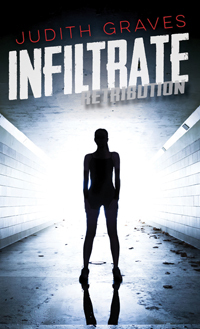 Team Retribution has been contacted by a teen who is being blackmailed into handing over secrets from the family business. Jace, with the help of his brother, Bentley, start to investigate and soon learn that the teen's family, like his own, is not what it appears to be. Jace, after learning he was switched at birth, then sets out to track down his birth family. 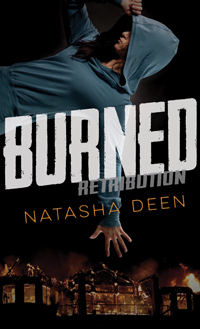 The Retribution series is made up of six books, the original three, Burned, Exposed and Unleashed, and the three sequels, Terminate, Infiltrate and Escalate, by authors Natasha Deen, Judith Graves and Sigmund Brouwer. 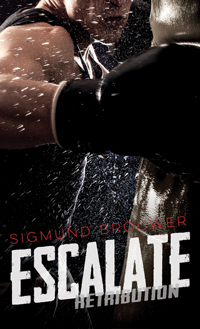 "The vocabulary and concept of Escalate are easy to grasp." "Brouwer's writing is accessible, informed, and believable, in spite of his characters' unusual circumstances." "Those who enjoy high-paced stories will be engaged by this entry."